Recent revelations regarding massive leaks of radioactive water from the Fukushima nuclear complex in Japan are spurring health concerns in North America and beyond. It has been known since the tsunami disaster that the magnitude of radiation emissions and leaks from Fukushima has been downplayed and underreported by TEPCO and the Japanese government. That appears to be changing. Current reports point to extremely large radiation leaks beginning in August 2013 and which appear to be ongoing. These continuing radiation leaks are massive and add immeasurably to the radioactive flows traveling across the Pacific ocean to the west coast of the US. In light of these facts, we at HPDI have updated our Radiation Protocol (originally published in May 2012) and re-published it in our blog. As part of our radiation protocol, we recommend individuals take Nascent Iodine. Nascent iodine will help protect health from the current high levels of radiation, as well as from higher levels if the situation in Fukushima deteriorates further, leading to additional radiation discharges into the water and air. We recommend Nascent Iodine (20 drops daily or more in divided doses). Almost everyone is deficient in iodine. The body rapidly absorb radioactive iodine unless it receive an adequate supply of non-radioactive iodine. Therefore, a supply of high-quality, non-toxic iodine can be critical for protection from radiation. Because iodine is also important for detoxification, energy production and utilization, immune enhancement, and protection against major illnesses, Nascent Iodine is an ideal means to obtain it. Radioactive iodine-131 (eight day half life) is one of the elements released into the upper atmosphere after an event such as a nuclear power plant accident or meltdown. It can be carried great distances on high-speed winds, and then falls into the lower atmosphere, where it can be breathed into the lungs. It can also contaminate crops on the ground and find its way into your body through foods and drinks. Your thyroid gland can quickly absorb radioactive iodine. Due to this gland’s tremendous affinity for iodine, it may absorb radioactive iodine in quantities that can injure or even destroy it. Iodine-131 decays into Iodine-129, which has a half-life of 16 million years and a total life of 150 million years. Therefore, while iodine-131 gets much of the attention due to its immediate health impacts, iodine-129 is the form that will remain with us long after releases of iodine-131. After contaminating the ocean, iodine-131 contaminates the air through evaporation, and then contaminates the land via precipitation. Beyond the fact that iodine-131 decays into iodine-129, the total amount of iodine-129 released by the Fukushima plant is about 30 times greater than releases of iodine-131. Fortunately, taking Nascent Iodine protects human health from both types of radioactive iodine. That is, the means for protecting health from these different types of radiation is the same: take non-radioactive, non-toxic Nascent Iodine. Taking non-radioactive iodine (i.e., Nascent Iodine) before and after exposure can protect your thyroid after exposure to radioactive iodine (e.g., as may be experienced via nuclear fallout). Simply put, non-radioactive iodine blocks radioactive iodine from being taken into the thyroid gland. In this way, your thyroid gland can be protected from injury. Taking non-radioactive iodine before exposure essentially “pre-fills” your thyroid with iodine leaving little or no room for radioactive iodine to be assimilated. If you already take the recommended dose of approximately 20 drops of Nascent Iodine (2%) (0.4 mg/drop) (see above), then your thyroid will be protected. However, depending upon the magnitude of the fallout from a radiation event, it would be wise to increase your Nascent Iodine intake to as high as 60–100 drops daily (in divided doses) both before and after exposure until the danger has passed. If the danger is of a prolonged duration (as would be the case with an explosion of Fukushima reactor four), then Nascent Iodine with its extremely low toxicity seems to be the only logical solution for protection of the thyroid. Nascent Iodine is a unique energized iodine rapidly absorbed by the body. It is associated with a wide range of benefits. These include supporting thyroid function, regulating metabolism, boosting energy, immune system function, fighting infections (natural antiseptic), detoxification, water purification, and other benefits. One drop of Nascent Iodine provides 400 micrograms (ug) of rapidly-absorbed consumable iodine. Iodine is critical for thyroid function because it is a component of thyroid hormones T3 (triiodothyronine) and T4 (tetraiodothyronine). When thyroid function is less than optimal, the body cannot carry out proper metabolism (or functions that depend on it). These functions include cellular energy production, detoxification, and immune system function. Nascent Iodine replenishes iodine levels to address deficiencies and provides beneficial effects. Users experience improved metabolism and often report increased energy. It is also antiseptic and can be used for water purification. In fact, Nascent Iodine was discovered nearly 100 years ago and used widely in the early-20th century. Nascent Iodine is especially effective because it is immediately recognized and used by the body. It is available to the body in a basic ‘atomic’ form rather than in a molecular form. This means effortless absorption when consumed and immediate benefits in its active or ‘charged’ state. Nascent Iodine also is unique because it is safe for consumption as a dietary supplement in therapeutic doses. More than 90% of Americans are iodine deficient. Factors include soil depletion, poor diet, and low consumption of sea vegetables (e.g., kelp). In addition, iodine uptake is reduced by routine and chronic exposures to toxic halides (such as chlorine, bromine, fluoride) in our environment and goitrogens common in our food supply. Nascent Iodine is an ideal supplement because it rapidly and effectively addresses deficiencies in a safe and convenient way. Moreover, for example, proper iodine levels not only reduce uptake of toxic halides into iodine receptors, but also prevent iodine deficiency associated with exposure to halogens (e.g., bromine). US iodine intake is about 200 to 300 micrograms (ug) daily, yet the Japanese are known to consume upwards of 12 milligrams (mg) daily (mostly via seaweeds). It is noted that historically Japanese experience a markedly lower incidence not only of goiter, but also of breast diseases and various cancers. US researchers Drs. Abraham, Brownstein, and Sircus write extensively on the benefits and safety of higher dose iodine when taken in proper forms. Under normal circumstances, maintenance doses of Nascent Iodine typically range from 1–10 milligrams daily. This is approximately 2 to 20 twenty drops of Nascent Iodine. Individuals’ results and needs vary, so it is recommended to start with a low dose and increase intake gradually. The safety of consumable forms of iodine is such that initial doses recommended by doctors under special circumstances (e.g., radiation protection) for ‘loading’ and therapeutic doses are significantly higher (see above). Because so many body processes depend on iodine status, many different conditions or symptoms may be prevented or improved when iodine status is optimal. Therefore, improving iodine intake for most people will help to build, restore, and maintain optimal iodine levels — and provide proven health benefits. Nascent iodine is the best form of iodine we have found for this purpose. In addition to all of its other benefits, Nascent Iodine is ideal for purposes of protection from radiation. This makes it an all around important supplement to take to ensure an adequate supply of easily assimilated iodine that offers multiple types of protection for the body with the considerable advantages of ease of use and relatively low cost. 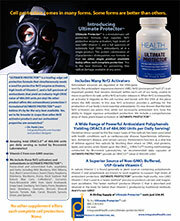 Nascent Iodine is a winner of the Editor’s Choice award from Mike Adams (aka, the Health Ranger) and NaturalNews.com. 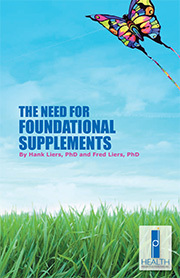 It is also recommended by Dr. Mark Sircus, Ac. OMD. who has written extensively on the benefits of iodine. Iodine is gaining the attention it deserves as a nutrient we need for health. Nascent Iodine is a potent ally in your quest to improve and maintain the best health under all circumstances. Note: We also recommend taking Vitamin D3 Plus (5,000–10,000 IU daily). A large percentage of people are deficient in vitamin D. In the event of a radiation catastrophe, it is likely you will receive less exposure to sunlight and therefore will make less of your own Vitamin D. It will be therefore be important to supplement with adequate amounts of Vitamin D. Like Nascent iodine, Vitamin D supports processes of detoxification, energy production and utilization, immune enhancement, and protection against illnesses. Taking both iodine and vitamin D3 can maximize their benefits via synergistic action. Additional recommendations can be found in HPDI’s Radiation Protocol.